If you want to grow your plastic surgery practice, you need to enter the world of digital marketing. Marketing your business online will help you grab the attention of more clients and showcase everything about the services you provide, but you need to know how to do it properly. Plastic surgery SEO is your way to go because search engine optimization will help you increase the online visibility of your plastic surgery practice, as well as target the right kind of audience with your content. Here are the key things to know when it comes to plastic surgery SEO, so read on to explore how it can benefit your business. You need to know that SEO results are never instant. It usually takes about 4 to 6 months for you to start seeing some results of your SEO campaign, but it can take even longer than that. 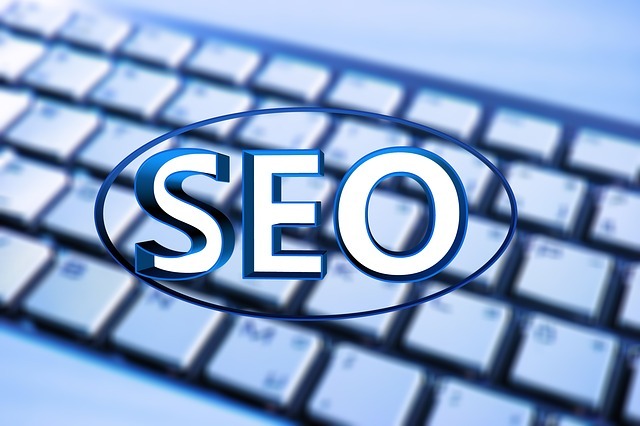 Therefore, you need to be patient and persistent, especially because SEO is not a one-time job. If you want to improve your website visibility and continually grow your business, then plastic surgery SEO must become an ongoing task. The key factors that you need to pay close attention to in order to ensure positive SEO results are your content and its quality, the keywords that you use in your content, the speed, authenticity, usability, and navigation of your website, and the accessibility of your services. If you constantly work on improving these factors, you will not have to wait too long for some actual results from your plastic surgery SEO campaign. How Can Plastic Surgery SEO Increase Your ROI? Since SEO will increase the visibility of your plastic surgery practice, you will start attracting more clients and generating more income, increasing your ROI over time. How much ROI your plastic surgery SEO campaign yields depends on how much you actually invest in your website and its continuous optimization. Again, it all comes down to your content, because the content is what sells. You need to make sure that you provide high-quality, useful and meaningful content that is well-directed towards your target audience. That is why you should hire a team of expert content writers that have experience in your field and know how to capture the attention of the right type of audience you need. Also, if you want to gain clients in your immediate location, say Philadelphia, you shouldn’t focus your content around plastic surgeons across the entire U.S. Instead, launch a local plastic surgery SEO campaign and localize your website content in order for it to yield a positive ROI. If you want to generate more leads and successfully convert them into clients, you need to measure the performance of your website and evaluate its effectiveness. You can do that by measuring your key performance indicators (KPIs) regularly so that you can work on improving your SEO efforts. Your KPIs should be measurable so that they can show you exactly how well your plastic surgery SEO campaign is performing and shed some light on areas that may need a bit of adjustment. The most important KPIs to track is the number of website visitors, organic traffic growth, pages per session, average session duration, leads, and conversion rate. People can locate your website easily. Your content can actually pull visitors in and compel them to stay longer and explore your site. Your website is user-friendly and enables easy search and navigation. Your external links have contextual relevance and are connected to reliable and reputable sites. 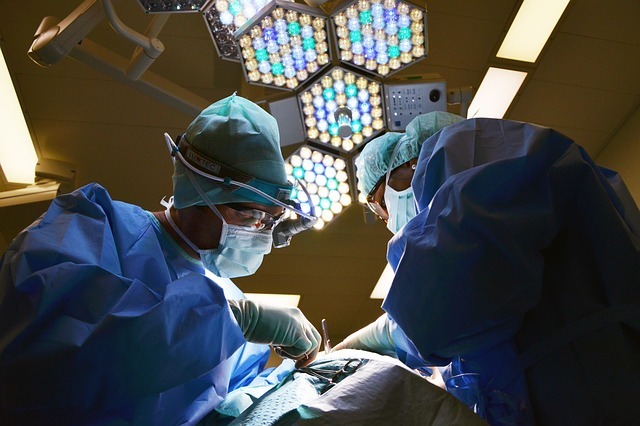 When it comes to effective on-site plastic surgery SEO, it all starts with proper keywords. You need to conduct keyword research to find out what terms and phrases your target clients are using in their search engine queries to find the services that you offer so that you can implement those keywords into your content and help people find you more easily. When using keywords, it’s vital that you don’t overdo it, because it simply won’t look natural. Use your keywords in headlines and throughout your content pieces, but focus primarily on providing useful information about your plastic surgery practice and all the services you offer, and showcase your medical expertise and professionalism. This means that your content must be specific in regards to what your target clients are searching for. It needs to showcase the benefits that they would experience if they were to choose your practice, so make sure you tell them exactly why they should choose your services. Improving your website’s navigation is also crucial for your SEO success, so be sure to add a sitemap that will enable your visitors to quickly and easily find what they are looking for. If they need to jump through hoops to find what they need, they will simply click back and find it someplace else, that is, move on to your competition. You also need to optimize your page load time, because there is nothing more frustrating than waiting forever for a web page to load. There are plenty of ways to speed up your website, so be sure to do it if you want your visitors to actually stay and check out everything that you have to offer. Yet another very important factor for improving your plastic surgery SEO efforts is your website’s responsiveness. Making your website mobile-friendly will greatly improve user experience, and both UX and mobile-friendliness are ranking factors in Google’s algorithm. Off-site SEO helps you establish your website’s trustworthiness and authority, thereby improving your relevance. The heart of your off-site SEO are the backlinks you include in your content. When you use high-value backlinks on your site, search engines will rank you higher on SERPs (search engine results pages) and increase your website’s visibility. When it comes to off-site plastic surgery SEO, you need to provide links that lead to sources relevant to your plastic surgery practice. For instance, you should include links to content providing post-op tips, advice for proper surgical scar care, advice for dealing with prosthetic issues, and the like. Therefore, the best backlinks for your website should lead to medical journals, scientific research journals, news articles, support networks, websites providing cosmetics, and any other source that provides information relevant to your services and what your target clients are essentially looking for. Given the ever-increasing popularity of social media, it goes without saying that you should develop a social media marketing strategy for promoting the services of your plastic surgery practice. Social media enable you to extend your reach and grab the attention of a larger number of potential clients. But, what does SEO have to do with it? Sharing your content on social media networks leads to higher visibility and, therefore, higher SEO rankings. Your ranking is highly driven by links, and links are ultimately a social activity. Even Google sees them as a social activity, which you can see in Google Analytics in the Acquisition part under the Reporting tab. Therefore, in order to improve your SEO efforts and increase your online visibility, driving more people to your site, you need to be active on social media and form meaningful relationships with your followers, providing useful tips and advice and replying on their comments and messages in a timely fashion. If you don’t measure the results of your plastic surgery SEO campaign, how will you know whether or not you are reaching your goals and objectives? How will you know whether or not your SEO efforts are actually effective? Google Analytics is one of the best tools for measuring the effectiveness of your website and evaluating how well your plastic surgery practice is actually growing. Therefore, measure all the results on a regular basis, so that you can ensure your website is properly optimized and helps your business grow. What you can also do is ask for feedback from your prospective clients, because it can give you a clear insight into their perception of your website, so that you can optimize it further and meet your target audience’s needs. The most important part about search engine optimization is the fact that it brings you organic results. If you force the results any other way, you will never get the ROI you need and set your plastic surgery practice on the path to growth and success. This is why plastic surgery SEO is the most critical activity to engage in for increasing the visibility of your website and generating more leads and conversions.